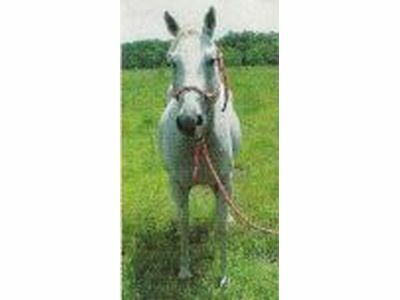 Ayla is a beauty of a grey Quarter Horse She needs someone to ride her regularly to bring her speed with her riding skills. Overall during her evaluation in March 2015, she did very well mounted & lead lined. But does not know how to move out w/out being led. 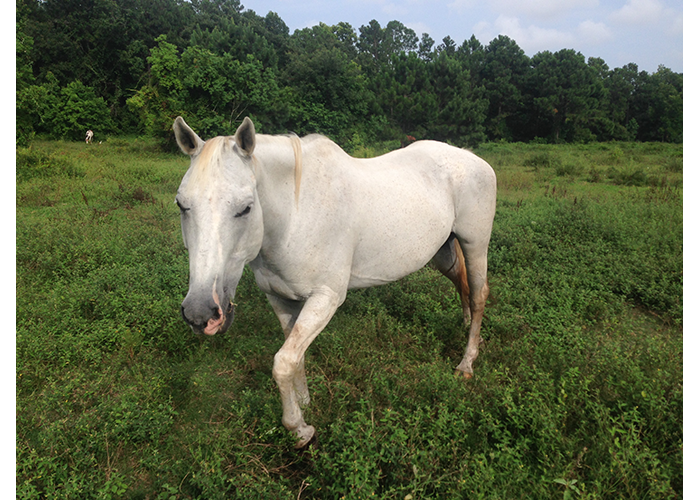 Ayla gets along great with horses and people – does great with the farrier. 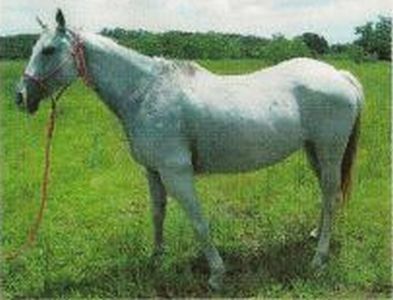 She is easy to catch, halter and tie, but she does pace when tacked if she cannot see other horses. Please give us a call to find out more and to arrange a visit. 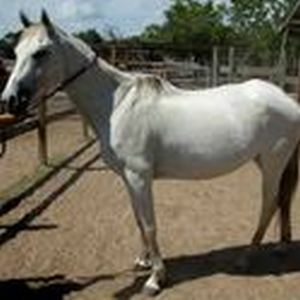 June 2015 Evaluation: Rode Western- accepted saddle, bridle and saddle cinching, mounting and dismounting at a stand still. However, refused to move out unless lead lined by a person on the ground. She did good when the trainer sat behind the saddle like riding double. Needs more work on ground manners but will make a good therapy horse.